Günstigste Eco-WLAN Router für den Einsatz mit allen modernen Smartphones, Tablets usw. Een prima router met veel instelmogelijkheden en gelukkig een stuk ’slimmer‘ dan de meeste routers, die veel te veel onwenselijke straling geven! Like many people in the UK we have a dual band BT Hub Wireless router which initially I thought was great – the family could download movies & play games with no wires!. Then I started hearing about how the WiFi signals were actually the same microwave frequency as in a microwave oven and can be dangerous to health. At 1st I didn’t believe it – so I bought lots of books and researched many research papers on the subject and bought a meter. One of the better books is ‚EMF Freedom‘ by E. Plourde. The meter was really helpful because when I thought the BT WiFI router settings were set to ‚WiFi off‘ – the router was still sneakily pulsing it out!! The BT Hub Router has no switch on it to turn off the WiFi . Rather you have to change the settings in two areas – first turn off both the 2.4 and 5 GHz broadcasts in the Router settings. Second, sign into your main BT account and opt out of wi fi from there. Then reboot the router! If you are a skeptic about the health effects of WiFi – just do a Google search for ‚Martin Pall WiFi and Health‘ and have a look at Science Direct. 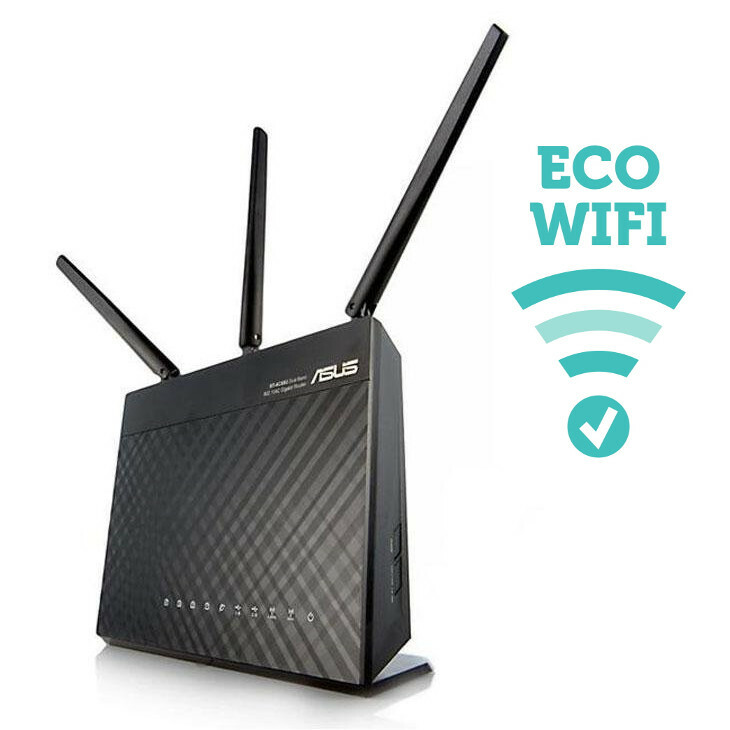 The Jrs eco wifi was a key tool of this „down to earth“ way of living. De Jrs eco wifi was een belangrijk instrument van deze „down to earth“ manier van leven. As most of our electronics are direct wired using CAT 5 cables, the wifi is used when needed. And when needed, the ‚low‘ power wifi does everything. I am grateful to have this product! I paired it with an Arris modem with a phone connector designed to work with Xfinity, and am perfectly happy with the functionality. Al enige jaren proberen wij stralingsarm te wonen. Hier hoort uiteraard een geschikte wifi router bij. We zijn zeer tevreden over de router! Toen we even geen goede verbinding hadden zijn we prima geholpen door JRS. Kortom: een prima router van een bedrijf met goede service, een aanrader dus. Läuft gut! Wir mussten es von unserem Computerfachmann installieren lassen, weil wir das alleine nicht konnten. Gerade digimäßig genug.